I am a third year music tech uni student. I was wondering if you prefer to use analogue hardware compression or a digital plug-in? Do you think that digital is taking over in studios when it comes to mixing? Every recording & mixing engineer is going to have their own opinions on the whole hardware verse software debate.In the early days of digital, it was a fairly easy decision since the processing power simply wasn’t there yet to make software compressors that sounded as good as analog compressors. Sure, it wasn’t incredibly difficult to create a software compressor that handled the basic audio level control functions of a compressor. The difficult part was modeling all of the distortion and non-linearity of the classic analog compressors that we all loved. If you simply wanted clean & transparent level control, software compressors & limiters could do that, and in some ways could even do it better since they have the ability to “look ahead”, and thus react faster to the signal than an analog compressor could. However, many engineers use a compressor not just for level control, but also as an effect, where they want that distortion and color that many of the classic analog compressors impart to the signal. We want that sound! These days, though, affordable processing power has caught up, and software emulations of these classic compressors and limiters now include full models of all the components, including the distortions and non-linearity. Are they perfect copies? No. But, these days they are close enough that it’s very hard to hear the difference between the best software emulations and the original hardware. Also, it’s difficult to do an accurate comparison because you would be hard pressed to find two classic analog compressors of the same make & model that sound identical to each other. There are lots of factors, including age, that create variances between even the same make and model of analog compressors, so no two of them are exactly the same. With software emulations of classic compressors, you can now have as many copies of the compressor as your computer’s processing power can handle, for far less than the price of the real thing. For example, you would be lucky to find a clean, working Fairchild analog compressor for under $10,000 these days, but you can get decent software emulations of it for under $300, and use as many copies of it in a project as your computer can handle! 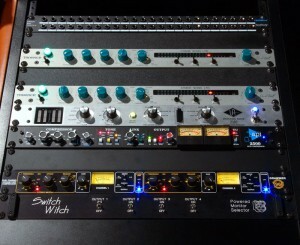 Imagine if you wanted to use even just a few Fairchild analog compressors on a mix! Most big studios are very fortunate to even own one! The other big advantage of software is almost instant recall. If you mix a song for one client, and then move on to work on a mix for a different client, it is very difficult to recall that first mix again on an all analog system. With an all digital system, it’s very simple and quick. The ability to quickly switch between several projects is one of the major advantages of a software based system. As far as my own work flow, although I wish I had a rack full of LA-2A, 1176, Fairchild, and other classic compressors, it’s just not affordable or practical for my own small studio. I do have several nice analog compressors, including an API 2500, Drawmer 1968ME, and two Cranesong Trakkers that I absolutely love! Anytime I’m recording vocals or other instruments live in my studio, almost every track passes through one of those on the way into my DAW. The Trakkers are my preferred compressors for tracking since they have several different modes that allow them to sound very similar to the classic analog compressors that I record with at the major studios (when budget allows). When I’m mixing, I often take a hybrid approach. I have some very nice A/D and D/A converters that I use to create insert loops in my DAW, and I will run some key signals out to my analog compressors and then back into the DAW. My favorite configuration for rock and heavier pop songs is to use the Drawmer 1968 on the drum buss to get some of that tube distortion, with the API 2500 across the master mix buss to get a bit of that classic API sound across the whole mix. The two Trakkers might get inserted on vocals or bass. That’s pretty much my limit for real analog compression when mixing, though, since I only have those 4. Everything else that needs compression is done with plugin compressors. More and more, though, I find myself doing mixes entirely “in the box”, especially with more modern pop and electronic music. I have a really great collection of all the best software plugin emulations, and I’m finding I don’t have any trouble getting the sound I want entirely with software. I am often working on mixes for several clients at once, so keeping it in the box allows me to switch between mixes faster and speeds up my entire work flow for those clients who are on a tight budget. Yes, there are still many analog purists out there who will swear that true analog gear is the only way to go, and software will never come close. Pure analog can certainly be great sounding and fun to work with when you have the time and budget! However, the world has definitely shifted to mostly digital, and it is certainly more than good enough to get great sounding results from a much more affordable investment, as well as being much quicker for project recalls. 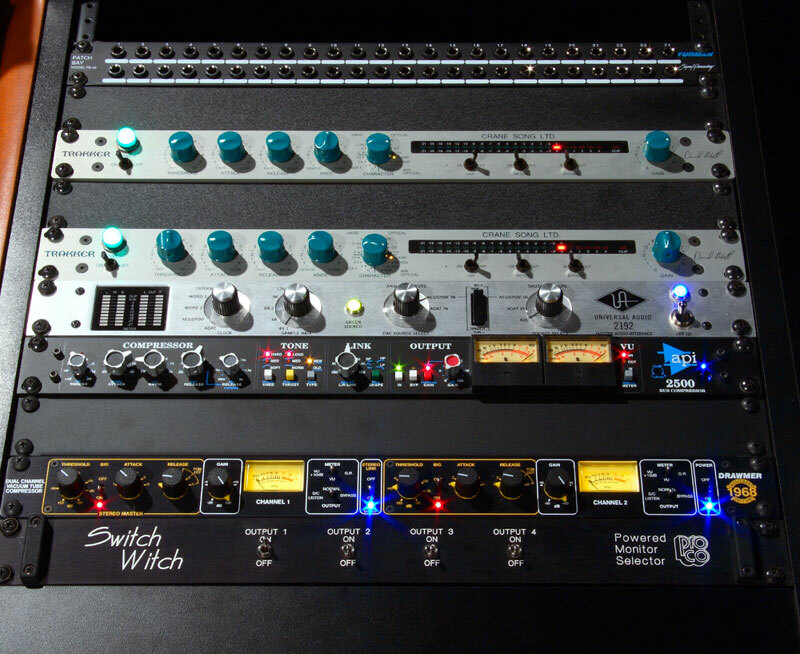 Many of the top mixing engineers in the world these days are working with plugins, often as a hybrid approach along with some of their favorite analog gear, but more and more often they are also working entirely “in the box”. As processing power continues to increase, and modeling techniques continue to improve along with that power, I think we will see less and less analog hold-outs. Given another 20 or 30 years, with the steady progress of technology, even the way we mix digitally is going to change significantly. Certainly, by then, digital reproductions of classic analog gear will be nearly perfect and certainly indistinguishable from the real thing. Considering how far we have come in the last 20 to 30 years, it’s not hard to imagine that almost all recording & mixing will be digitally (and much more advanced) in another 20 or 30 years. In the meantime, here is a picture of my analog compressors! Still look cooler than the software versions!